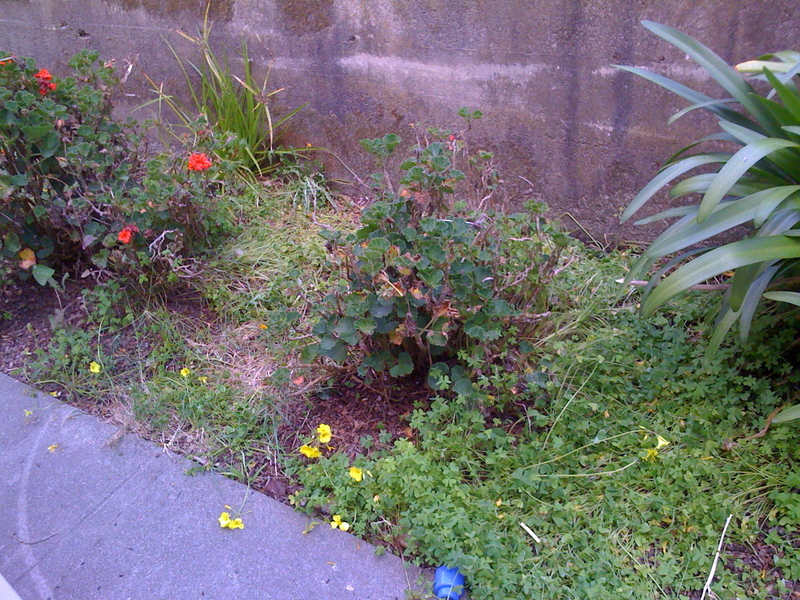 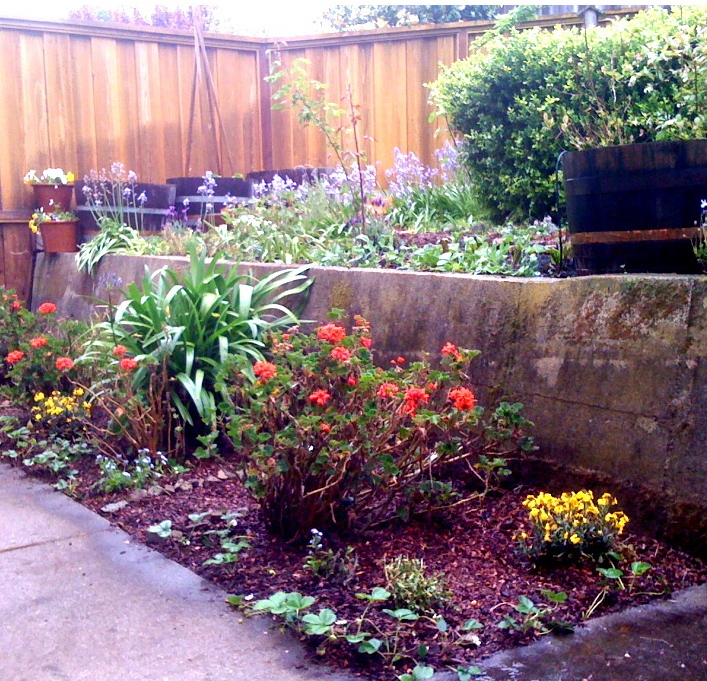 This garden in Laurel Heights is rented by a family with two young children. 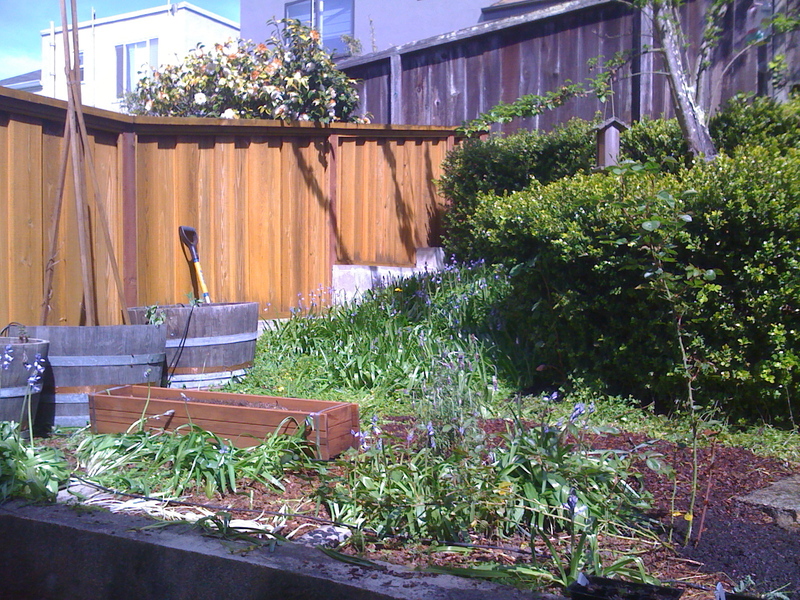 The client didn’t want to redo the entire yard but wanted a place to grow vegetables with the children. 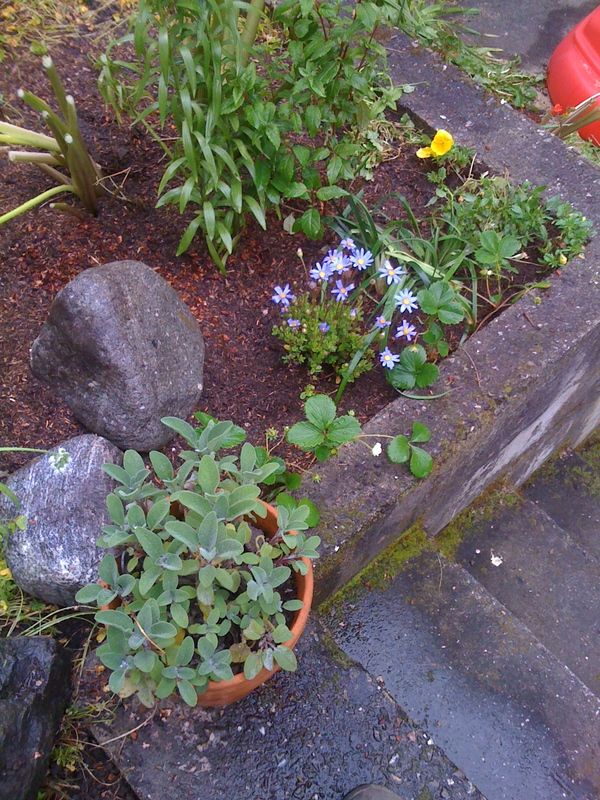 Small Spot Gardens used materials already in the backyard to create paths and planted fun-to-pick strawberries and peas so they’d be within easy reach from the lower level. 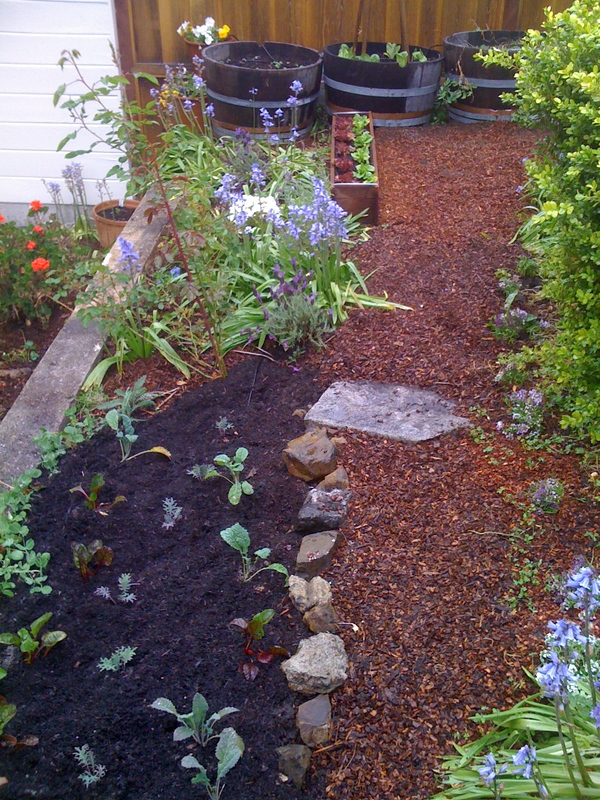 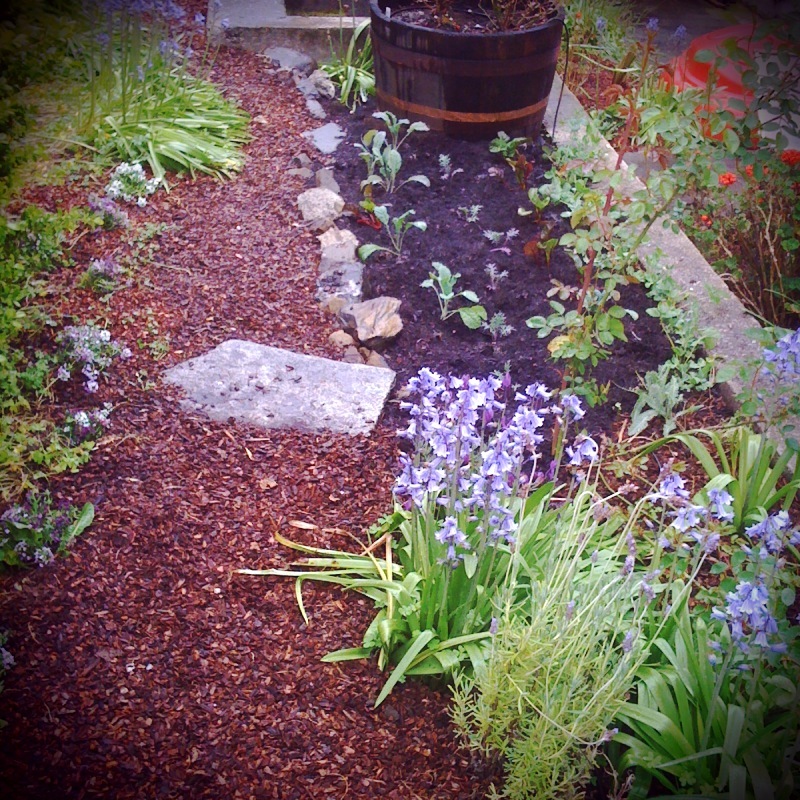 Inexpensive perennials were planted to hide the relatively drab back part of the yard and “adult” vegetables like chard and kale were planted on the upper level. 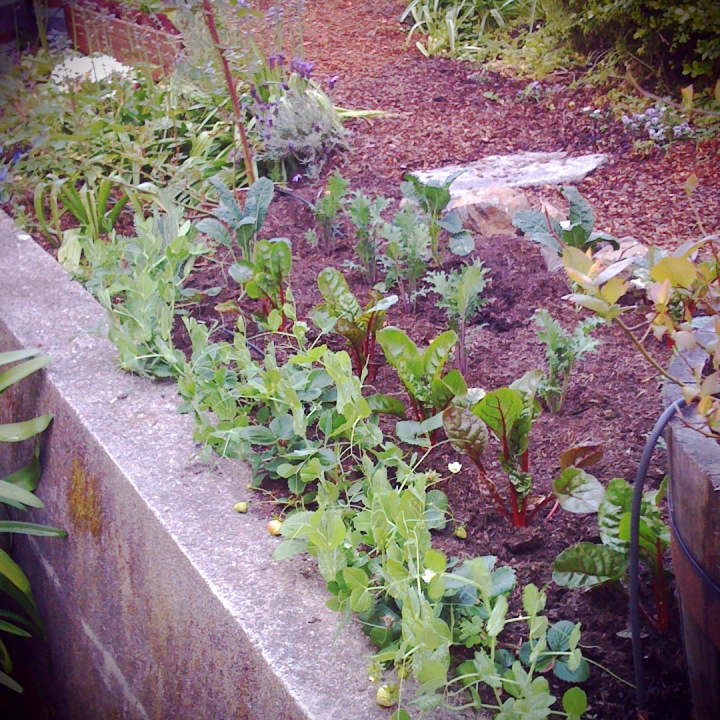 A simple drip system was expanded so the vegetables would get a consistent supply of water.